– Ability to operate, clean and maintain all equipment required in job function. – Accommodation, transportation, and food are provided. – Medical insurance, workman’s compensation insurance, and personal life insurance provided. – 30 days leave per year, annual flight tickets to home of record every 24 months. – End of service gratuity as per UAE labor law. – Salary will be discussed to shortlisted candidates. 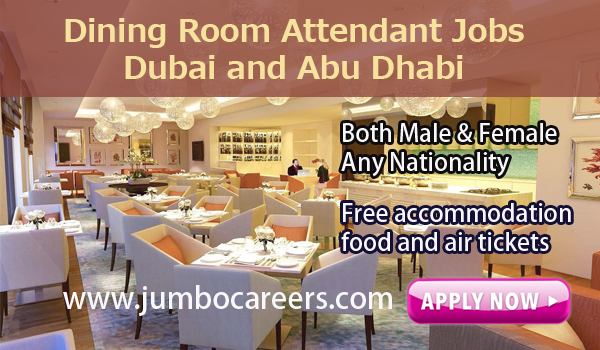 How to Apply for Room attendants jobs in Dubai and Anu Dhabi? and mention “Dining Room Attendant” in the subject line.